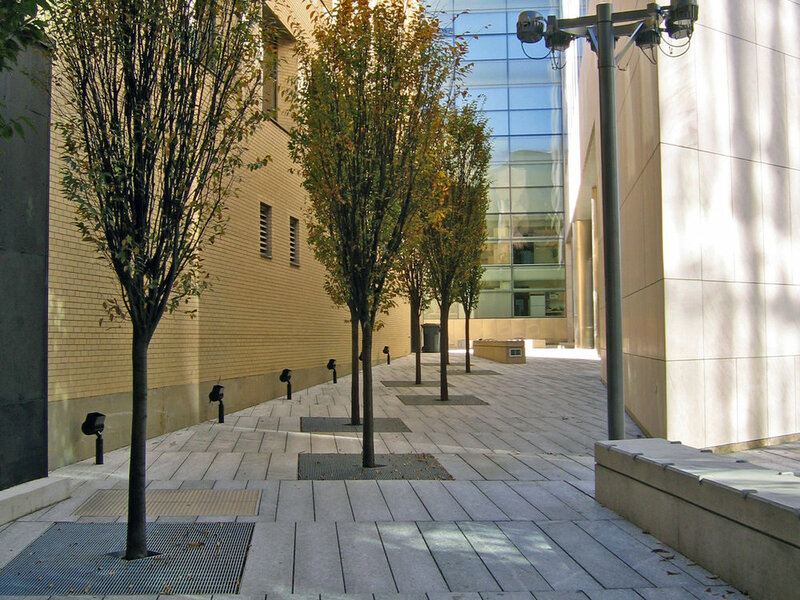 The ground level of the MIT Brain and Cognitive Sciences Building is about passage and movement and includes a plaza that serves as a major student thorough-fare. 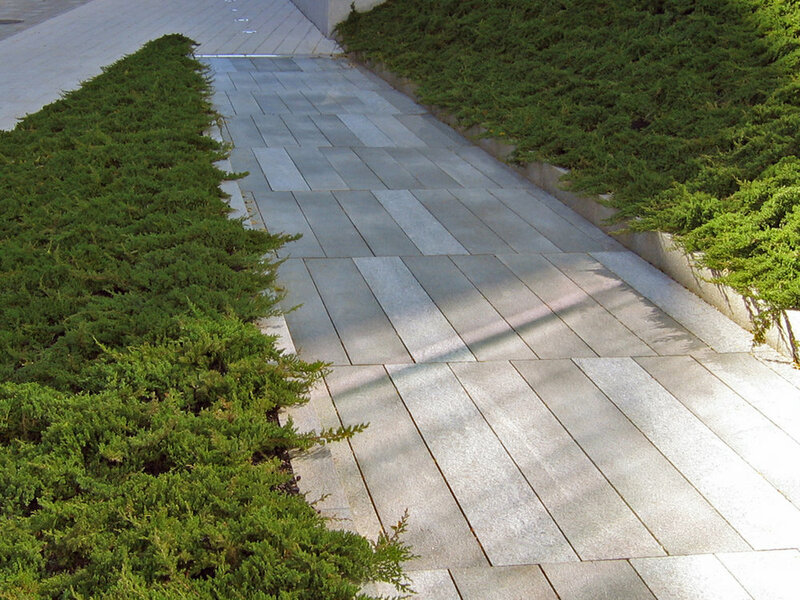 As chief designer, Ryan Associates worked with Martha Schwartz Inc to update the Ippin Garden and design the entrance plaza, which features a series of granite ramps and green sloping planes that negotiate the complex grade changes leading up to the building. Creeping juniper soften the crisp hard material edges, and bamboo in exterior granite planters reference interior plantings to complete the theme of connection.